Coibita Island, part of Coiba National Park. Smithsonian image. 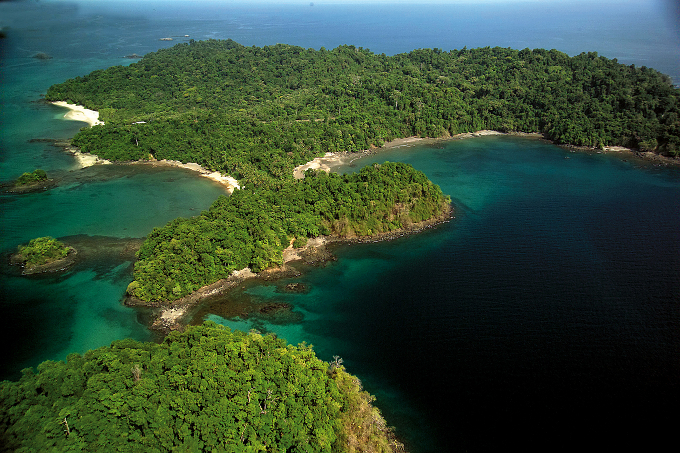 Coiba National Park is considered by scientific experts as a potential world-renowned research destination and epicenter of great advances in our understanding of tropical ecosystems. Within this framework, the Smithsonian Tropical Research Institute (STRI) announced on June 14 that it would evaluate the coral reef diving sites identified in the Coiba National Park Protected Area (PNC) Management Plan, which would allow the establishment of load capacities and acceptable limits on changes for proper management of those marine environments of the National Park open to visitation. This research will be carried out by researchers from local institutions with support from the Ministry of the Environment. STRI will evaluate, with its own funding, the local movements of the megafauna that frequents the dive sites, with an emphasis on sharks and rays. This information will positively contribute to the protection of these emblematic species, within the framework of approved activities in the public use plan approved by the Ministry of Environment of Panama (MiAmbiente) and identified by UNESCO.